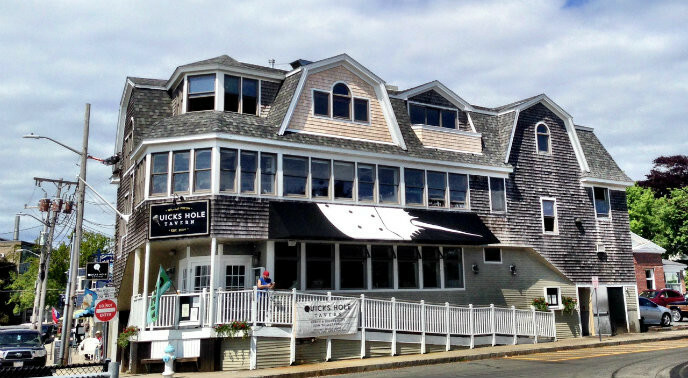 Best new cape cod restaurant in 2014 was bestowed on Quicks Hole Tavern by Cape Cod Magazine. This is a great new hotspot for our guests at The Captain’s Manor Inn or for anyone visiting the Falmouth area. 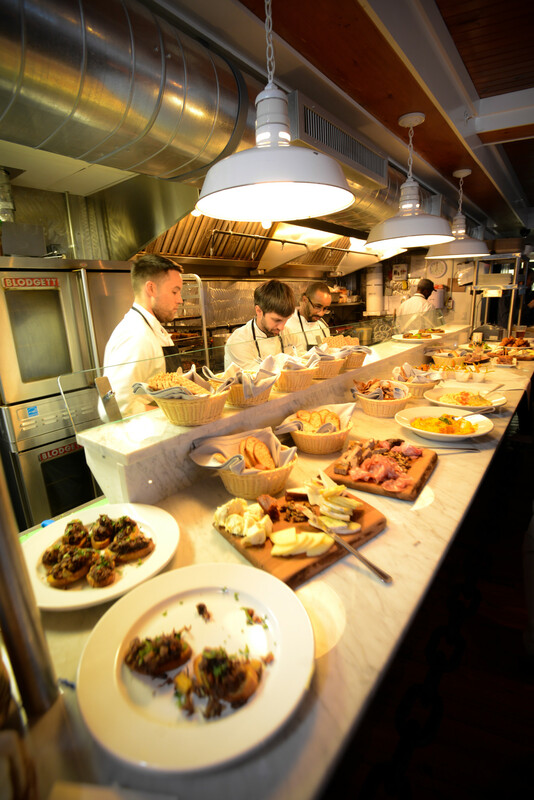 The owners are major proponents of the Farm to Table movement so you can be assured of fabulous fresh and delicious entrees. Quicks Hole Tavern was established in 2014 when the team behind Quicks Hole Taqueria (a summer place next door) looked to open a year-round restaurant in Woods Hole. Taking over the space formerly known as the “Leeside,” owner Beth Colt renovated and upgraded the kitchen before opening in March offering lunch and dinner seven days a week year-round. Her partner of five years, Chef Stephanie Mikolazyk, pulled together a killer team in the kitchen, and next thing you know there was a line out the door. 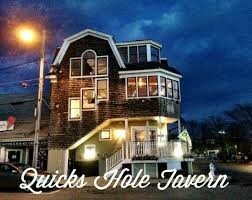 The Quicks Hole Tavern is a three story building located right on the waterfront in Woods Hole, next door to the Steamship Authority ferry to Martha’s Vineyard. The dining rooms feel like a ship, with sails adorning the ceilings, arresting black and white photos of old Woods Hole on the walls and great water views of the busy ferry terminal and Woods Hole harbor beyond. Quicks Hole is a passage between the islands much like Woods Hole, just a few miles west between the Elizabeth Islands. The original Quicks Hole is a remote spot, great for fishing, and the preferred passage for the fishing vessels of New Bedford as they head out for the catch. Quicks Hole Tavern is dedicated to local sourcing, but Colt also liked that the word Quick was in the name, as the ferry crowd is often in a rush. The horseshoe crab in the logo for Quicks Hole is a tip of the hat to Woods Hole history – scientists here discovered that this crab’s blood was precious as a tester for human blood purity, and blue horseshoe crab blood is now harvested and used in blood banks around the globe for that purpose. The most popular lunch item is the “MBL-t” a Mahi, Bacon, Lettuce and Tomato sandwich on artisan bread from Pain D’Avignon in Hyannis that makes reference to the Marine Biological Lab (“MBL”) one of the famous science institutions that dominate the Woods Hole waterfront. Another favorite is the Angus Burger, smothered with grilled onions, peppered bacon and Grafton cheddar. There are seasonal salads with delightful dressings and a choice of proteins like steak, scallops, salmon and more. The Tavern is best known for it’s “Pig Candy” appetizer, a roasted pork shoulder drizzled in maple syrup, cayenne pepper and a garnish of fresh celery sprouts. It’s totally addictive. The Lobster Croissant (available in summer) is probably the most popular item, with fresh local lobster meat lightly tossed in mayonnaise, lemon and basil served on a freshly baked croissant with choice of green salad or fries. Woods Hole has a busy music scene, and the first floor pub at Quicks Hole Tavern has become one of the places to see interesting jazz, folk and blues. Luke Vose of Crooked Coast plays Thursday evenings, and Ben Patterson performs acoustic on Saturdays, both with no cover. Joe Sutton Band also plays occasionally. 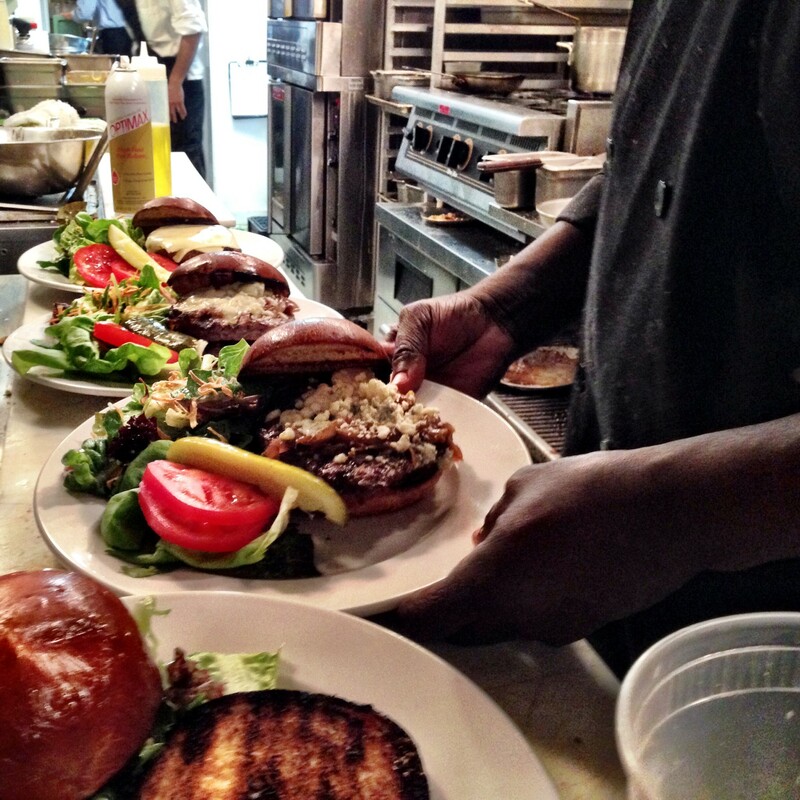 Cape Cod Magazine named Quicks Hole Tavern one of the best new restaurants on Cape Cod in 2014. On Urbanspoon (a popular review app), Quicks Hole Tavern is number two in the category “Hottest on Cape Cod” which includes all of Cape Cod.